Atlanta– Love is dead? When Qn. Everlena (Queen) first released the “Ali Un” single she wanted to heal from emotional abuse. Now, She wants to empower others to express love in its many forms leading by example with “I ❤️ Akon #aliun.” The single title is a play on the recording artist Akon’s first given name Aliaune. It’s also an unfinished sentence in Spanish to represent the current state of their relationship. In her words, it was a lost opportunity to love and be loved due to fame and fortune. “Everybody loves the song, but is skeptical of our connection because he’s a celebrity. It’s infuriating. If he was a regular dude that kissed me, smack me on the behind, gave me massages, or flirted like a teenager… people would say go get your man!” says Queen. On a news assignment at the 2006 Best of the Best Concert in Miami, Queen met Akon backstage shortly after praying to meet her husband and clarity on the path to success. “Akon told me not to leave him. I quit working for him three days later. And it was the worst decision I ever made in my life. I may never know what could have been. But I can say ‘I love you’ now… so I will.” says Queen. Queen withheld her feelings for Akon out of fear. A direct result of the hazing she experienced in his absence. 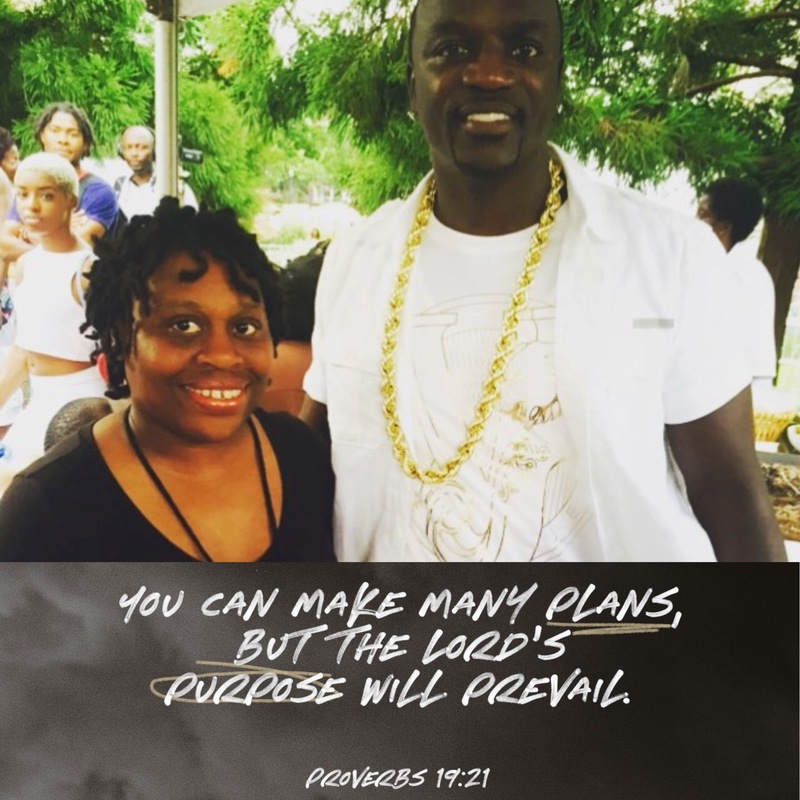 Renewed faith in God, she needs to make things right with Akon. She gotta fight for him and the right to love. “It’s so much pain and rejection in the world why not be LOVE? Only 58% of black women are married. 70% of black children are born out of wedlock. The divorce rate is 50%. The radio is filled with music about f_cking, sucking, or ducking a mate. Where is the love? Just because someone is rich, famous, or smiling doesn’t mean they feel loved.” says Queen. Akon hasn’t had a hit single since her exodus in 2009. She hopes Ali Un will provide the right loving inspiration to get her muse back on the charts. Ali Un dropped SEP 9 on iTunes, Spotify, Amazon, Pandora and more major online music stores.